In large bowl, beat 1 cup of the whipping cream with electric mixer on high speed until stiff peaks form. Add frosting and marmalade; beat until well blended. Fold in almonds. Spoon mixture into 4 small dessert dishes. In small bowl, beat remaining 1/2 cup whipping cream and the powdered sugar with electric mixer on high speed until soft peaks form. 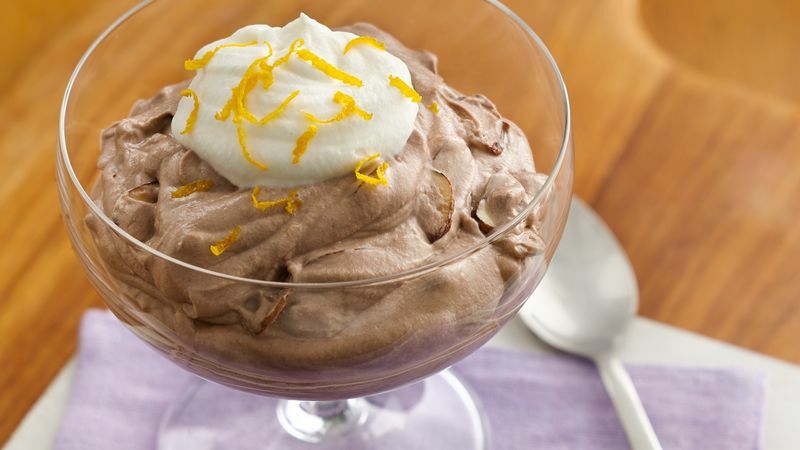 Spoon over each serving of mousse; sprinkle with orange peel. Store in refrigerator.